OMG! You look like a fairy. <3 I love your outfit!!! I'm not a big fan of Taylor, too. Haha! But I do like some of her songs. All the flower crowns are supah cute! :) and I have the same sandals! TWINNING! Cute outfit! That crown looks so good and so perfect for spring! Hahahha...find it little bit funny. That's a nice celebration of Panagbenga in Manila. But it's nice and it fit your lifestyle. Love your outfit, especially the top! 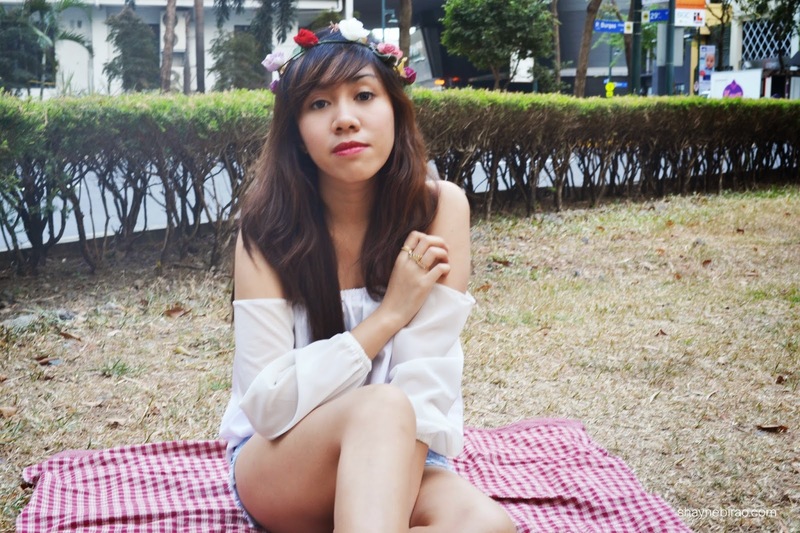 You remind me of spring with that off-shoulder white top and flower crowns. So lovely! Wish we have Spring here in the Philippines! haha Thank you, Monica! I actually love your shoes, since they're perfect for long walks at the beach, where'd you get them?